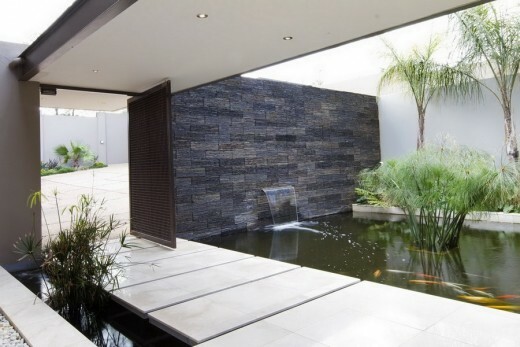 The Koi pond and water feature at the entrance of the house set a tone of tranquility for the well designed open plan double volume spaces. 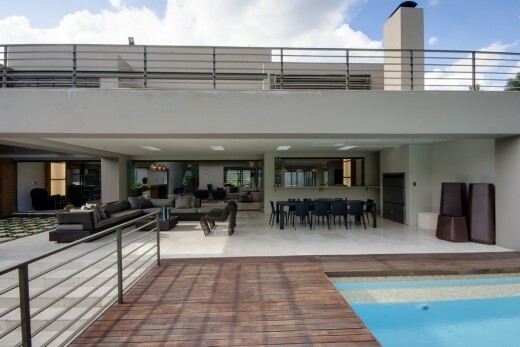 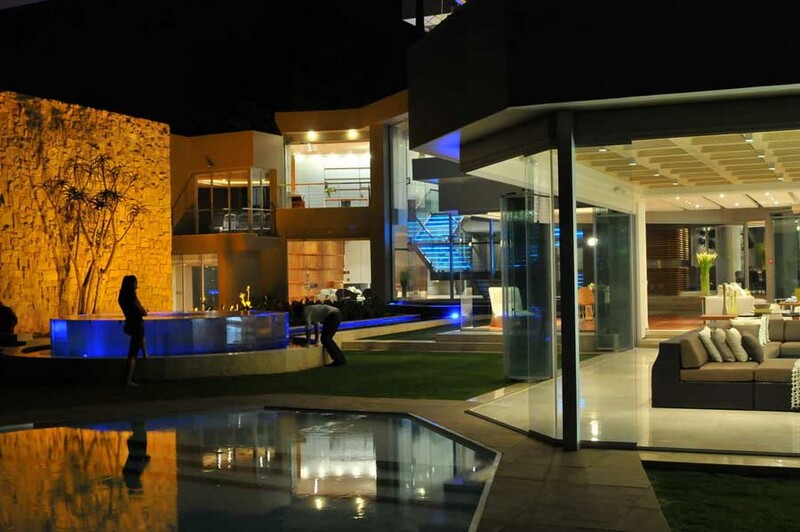 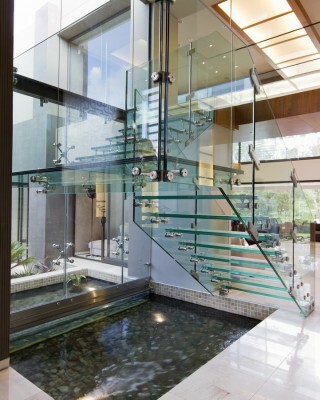 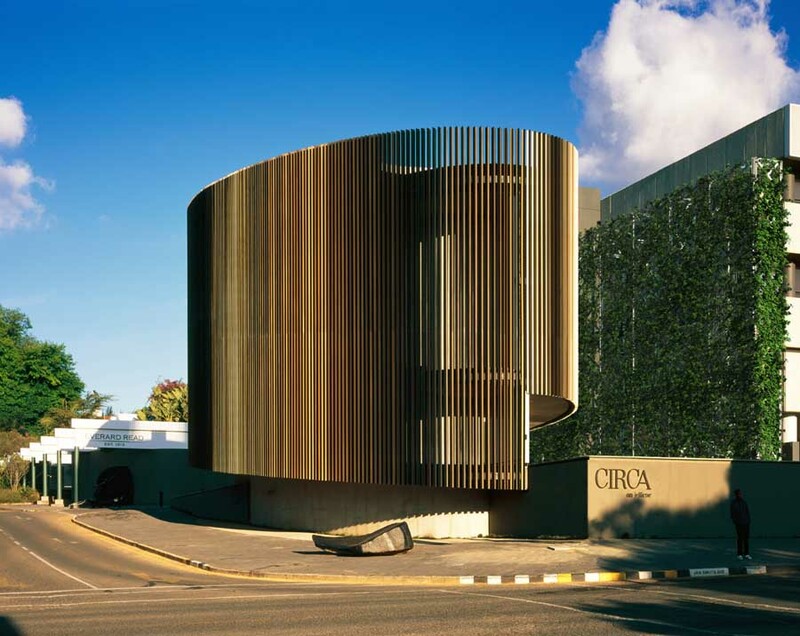 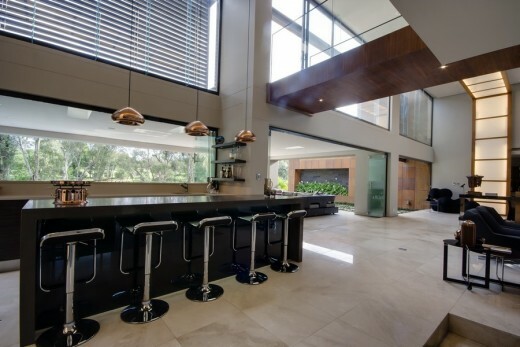 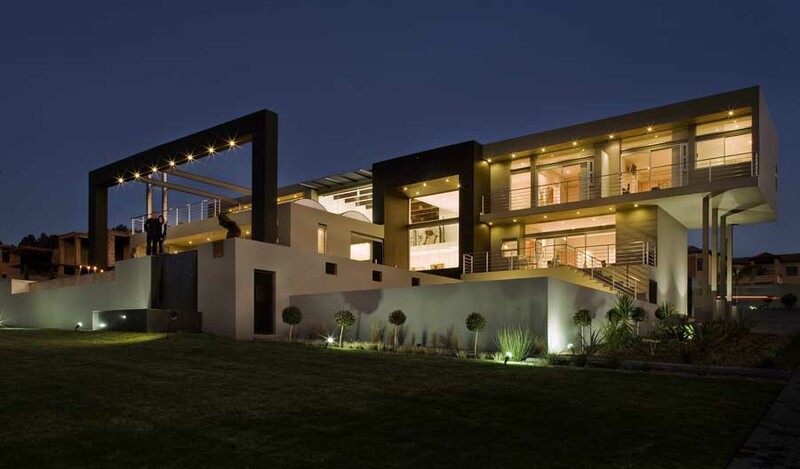 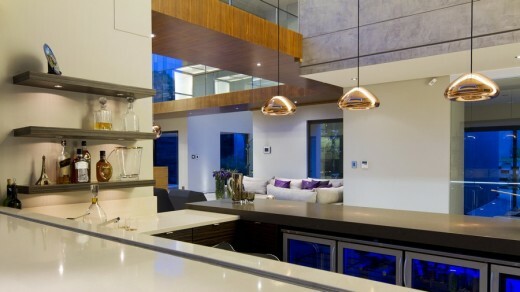 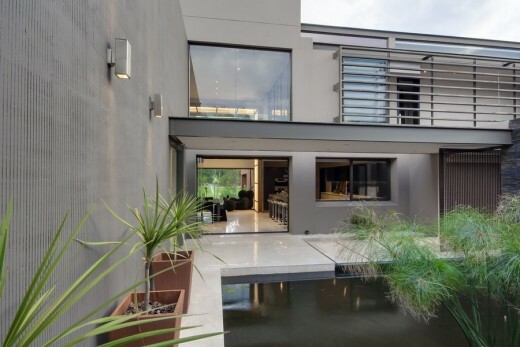 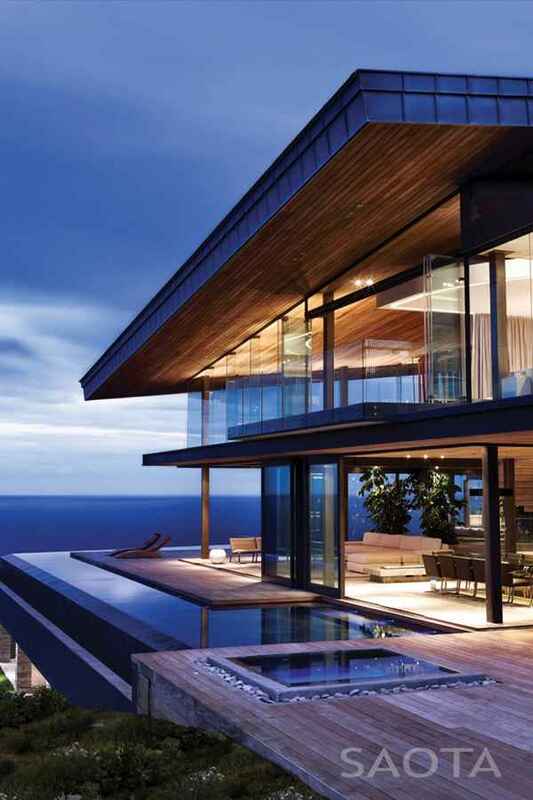 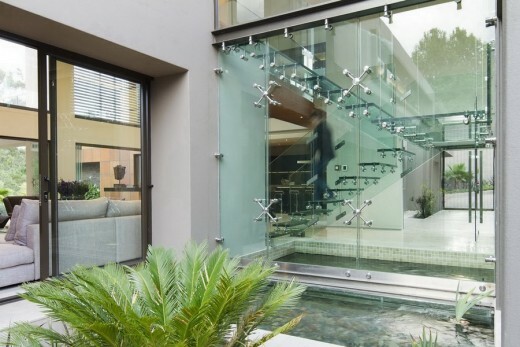 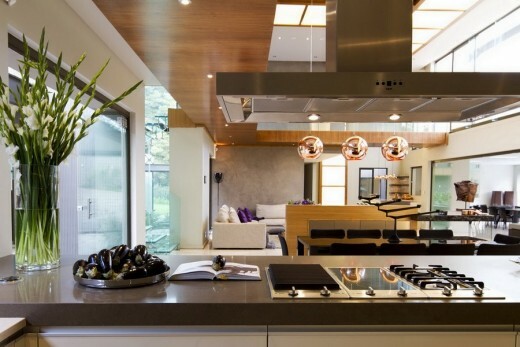 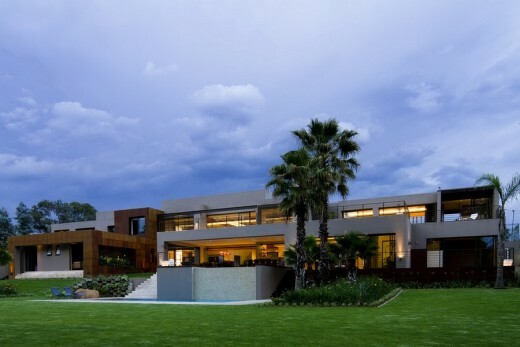 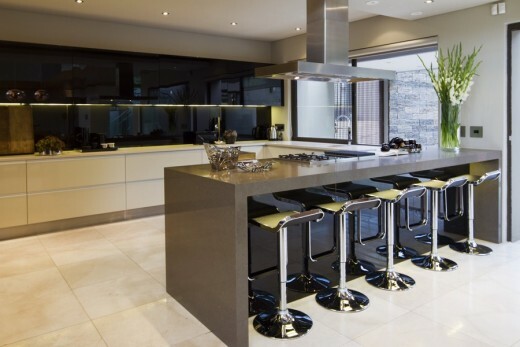 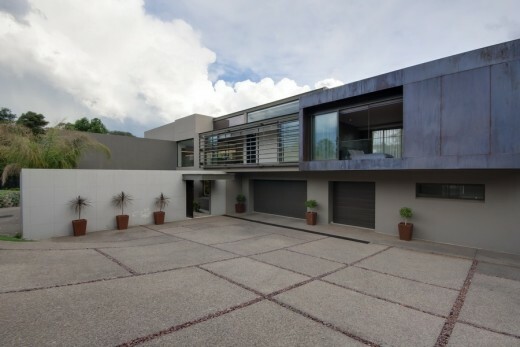 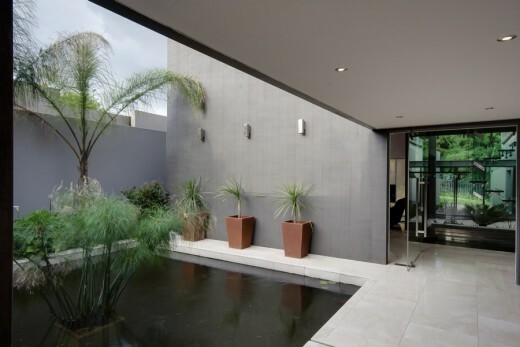 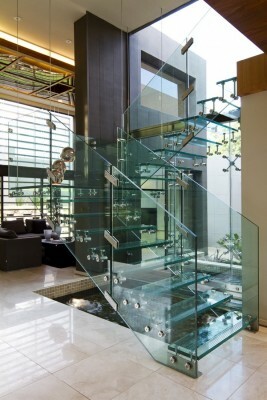 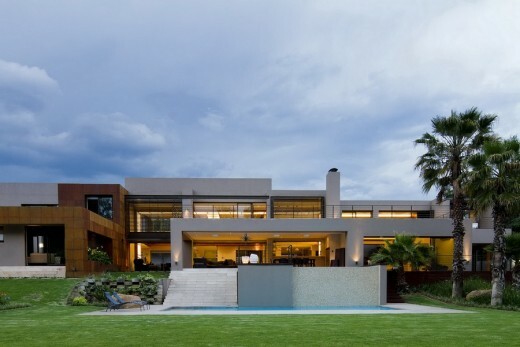 The staircase floats8 over a pond that is heated in winter, was designed by Nico van der Meulen, using the glass balustrades and the double volume window behind it as the structure, obviating the need for steel frames. 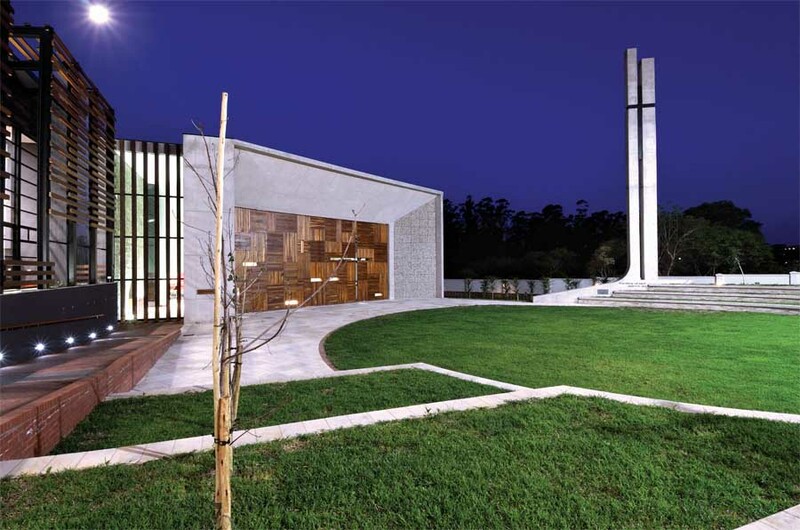 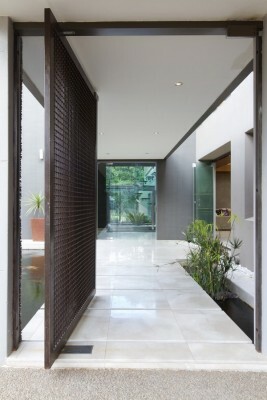 The strategic use of frameless folding doors allowed for transparency on the two longest facades, creating a timeless, contemporary solution, whilst the outside koi pond provides a cool breeze in summer. 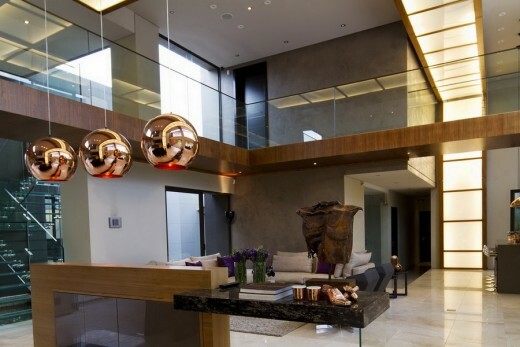 The open plan main suite has a fireplace and television in the lounge area, It also has spectacular views from both the bedroom, lounge and bathroom which invite the sunlight in during winter. 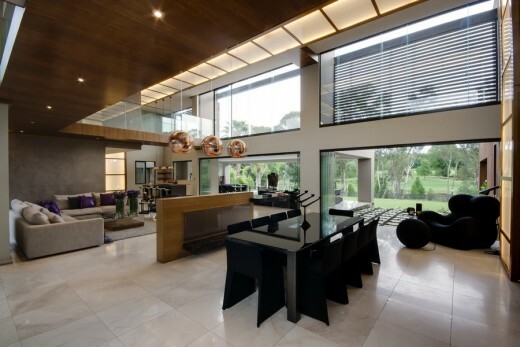 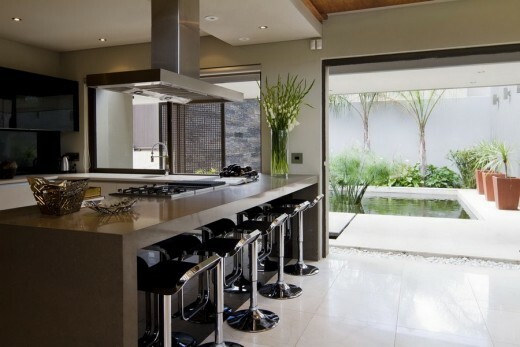 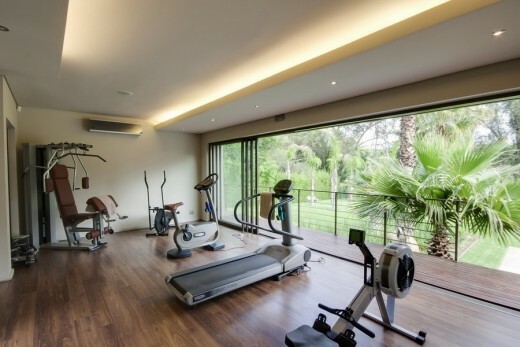 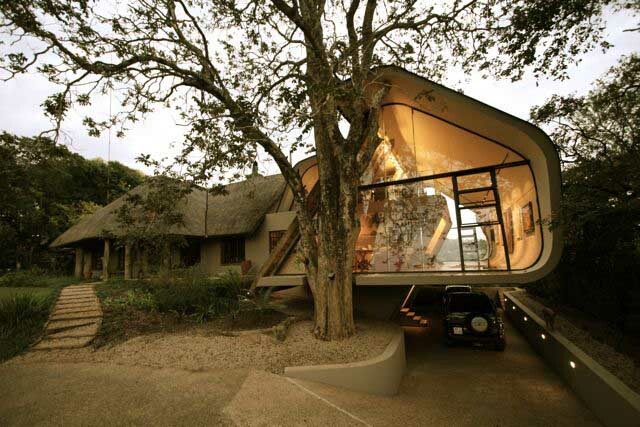 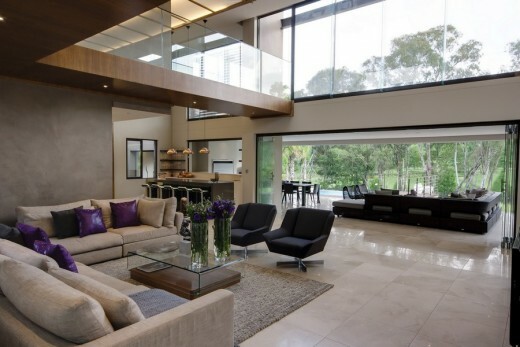 With a brilliant plan and design, merging the indoor and outdoor the home creates the illusion that one is outside even when indoors. 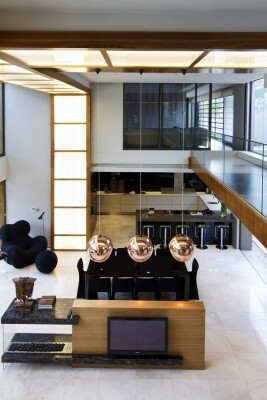 The pyjama lounge overlooks the family room, leading to the kid’s suites. 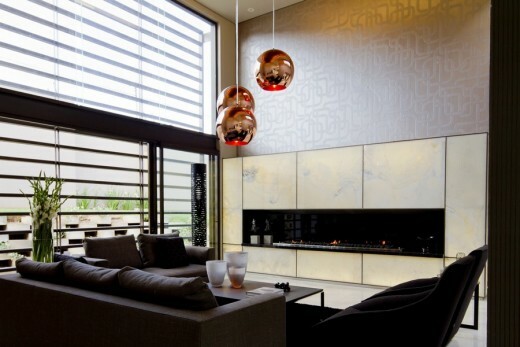 All furniture, lighting and interior décor was supplied by M Square Lifestyle Necessities, using pieces by internationally renowned designers such as Patricia Urquila and Tom Dixon.